Once you have settled into your new home, the first thing you will want to do is to decorate. Designing your interiors is one of the most exciting parts of settling into a new place. Figuring out the elements to your living room, bedroom and kitchen is a job that’s more enjoyable than tedious, especially if you allow yourself to be creative with the process. Indoor plants are quick and affordable additions to a living room space. Do your research and choose which greens are appropriate for indoor settings. There is a wide range of plants you can choose from for your home. A few favourites are asparagus ferns, spider ferns and strings of pearls, all of which look great in hanging pots. Choosing the vessels for your plants gives you extra room to design your home – make sure they adhere to the theme of your interiors. Terracotta and cork bring warmth into a room. Terracotta tiles are gorgeous on a matte finish, easily acting as a statement piece when used for fireplace cladding or feature walls. Terracotta pots from your garden will also look good indoors with your houseplants and succulents. Cork, on the other hand, is a versatile decor material that can be used to create fun fixtures for your home. You can also take the more traditional route by filling empty space on the wall with a corkboard that you can decorate further with rustic elements. Many have towers of books at home. Brush the dust off your loved but uncared for books and place them in your living room as part of your décor. They look best with wooden shelves, adding a sense of sophistication to your living room. The unfamiliarity of your new home coupled with an old furniture arrangement might make it an uncomfortable place for you to stay in. Get acquainted with your living space by moving around your furniture pieces into places where it is more fitting for you. If your desk was always beside a lamp, move it by a window for a change. White has been the most popular colour in contemporary interior design for years. Instead of the usual bare walls, however, opt for deep blue paint with shades spanning from ultramarine and sapphire to navy and midnight blue. Blue is a colour that draws you into a room, inducing a sense of calm and tranquillity. When used with metallic accents such as copper and brass, deep blues add life into an overall neutral palette. They are especially attractive in large rooms with lots of natural light to give you and your guest a feeling of warmth and cosiness. At Quenda Living, your home is yours to design. Once you’ve chosen your lot, you can schedule an appointment with a design consultant for all your finishing touches. We’ll help you bring your vision to life. 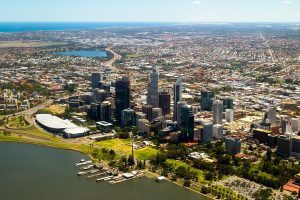 See the best properties at the growth corridors of Hammond Park, Perth and enquire with us today at sales@quendaliving.com.au.